Paul has been a therapist and facilitator for over 20 years. He is a Registered Social Worker and holds a Master’s degree in Clinical Social work. Paul's focus as a therapist has been on addressing violence against women, domestic abuse, addictions, childhood sexual abuse, crisis, and trauma. In addition to training with CTRI, he is currently a therapist working with individuals navigating the Justice System, and also has a small private practice. Paul believes in the importance of co-creating meaning and direction in both clinical and group interventions. As a trainer, he delivers practical, applicable information for participants mixed with a humorous and engaging presentation style. Paul is gifted at facilitating critical conversations in a non-threatening manner where individuals and organizations feel heard and supported. For those who work in an environment where there is potential for violence, it is important to develop the skills needed to defuse dangerous situations. This webinar is designed to teach people to de-escalate potentially violent situations through assertiveness and interpersonal communication. 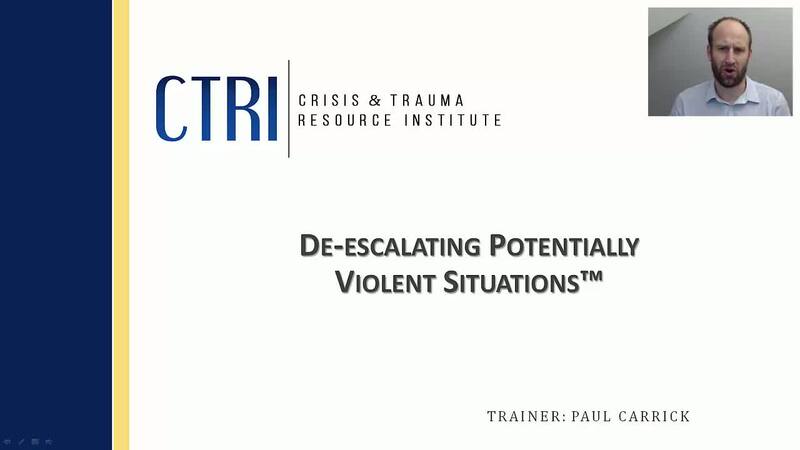 Viewers will develop a clear understanding of how to assess the potential for violence and respond with a diverse set of interpersonal tools and strategies designed to defuse potentially violent situations. SKU: 120. 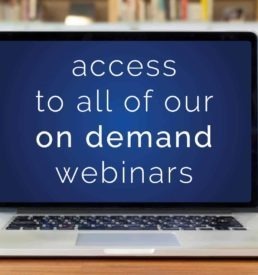 Categories: ACHIEVE Webinars, CTRI Webinars. This is an introductory-intermediate level webinar intended for anyone interested in learning more about this topic. Each webinar is 60 - 70 minutes in length. Pre-recorded webinars include no interactivity with the instructor. Live webinars will each contain 60 minutes of instruction from the facilitator using visual powerpoint slides and then there will be 10 minutes at the end of the webinar when participants can type in questions or comments directly to the instructor and hear feedback in realtime from the instructor. Upon viewing entire webinar general participants will be able to receive a general certificate of participants. For those require ASWB and NBCC approved certificates you will need to take a post webinar test. A certificate will be given after successful completion of test. An evaluation form will be available to complete after submitting the posttest. ASWB: The Crisis and Trauma Resource Institute Inc. (Provider Number 1214), is approved as a provider for social work continuing education by the Association of Social Work Boards (ASWB) www.aswb.org, through the Approved Continuing Education (ACE) program. ASWB Approval Period: Aug. 10, 2017 – Aug. 10, 2020. Social workers should contact their regulatory board to determine course approval. NBCC: CTRI has been approved by NBCC as an Approved Continuing Education Provider, ACEP No. 6668. Challenging Behaviors in Youth and Understanding Mental Illness workshops do not qualify. CTRI is solely responsible for all aspects of the programs. While other associations and licensing bodies accept CTRI workshops for continuing education credits, questions about approval should be directed to the specific association or licensing body for which you are requesting the credits.